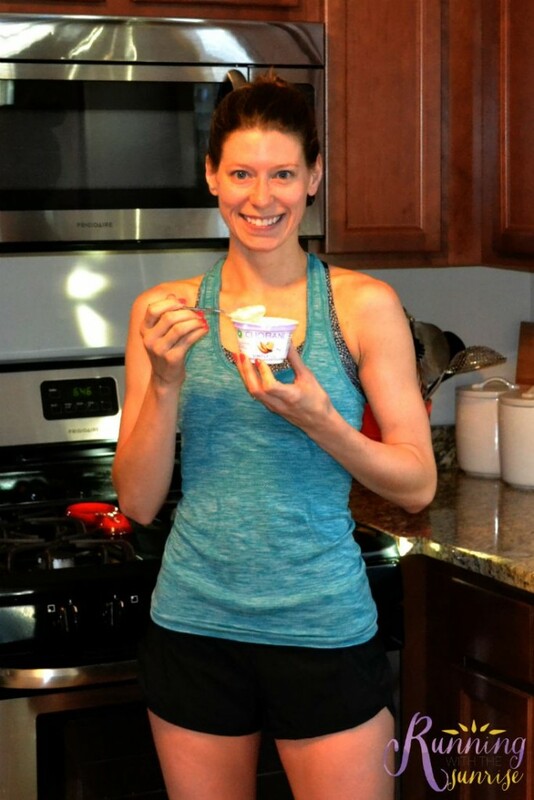 Today I want to chat a bit about workout fueling. 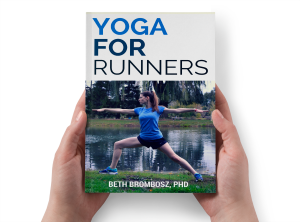 I’m not a dietitian or nutritionist, but I have spent a good amount of time reading about fueling your body for workouts from people who are, and I wanted to pass along what I’ve learned. 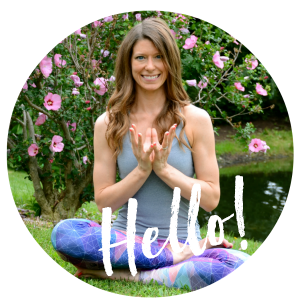 I think most of us inherently understand that what we put in our bodies directly affects how our bodies function, so it’s very important that we put good fuel in our bodies so we get great results from out workouts. So, what should we be eating around our workouts? Having a small snack of a few hundred calories can help give us energy to sustain exercise, and we definitely want to make sure that we refuel after a hard workout. A combination of carbohydrates with a little protein and/or fat will help fuel your activity and help you feel full a little longer. And, having a post-workout snack or meal with 10 to 20 grams of protein can hep you recover faster from a workout (source). You want to consume high-quality protein with all the essential amino acids (e.g., milk, yogurt, chicken, eggs, and all animal proteins) in close proximity to exercise, followed by protein-containing meals and snacks in an even distribution throughout the day. 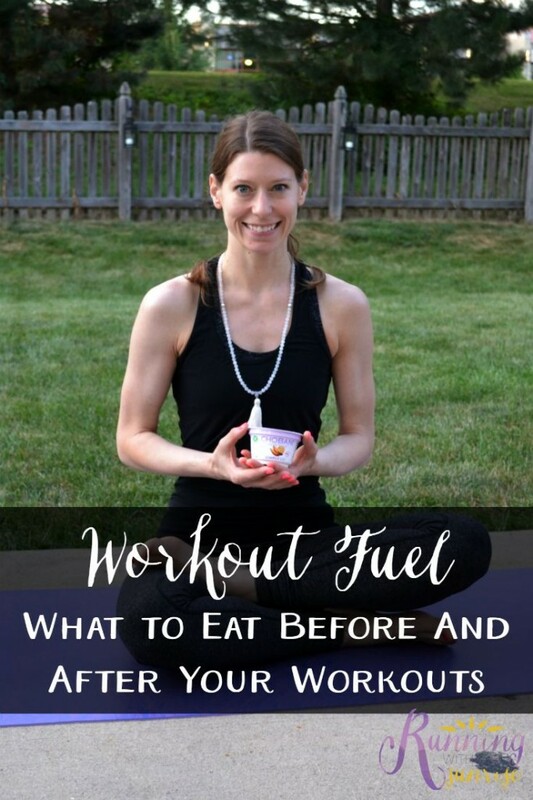 I’m a quick and easy kind of gal, so I love having workout fuel that I can grab and go. Greek yogurt has been my go-to fuel for a while for all of my workouts, whether I’m out on a run or headed to the barre or yoga studio. Fueling up for a morning run. If you’ve been following my blog or social media for a while, you know how much I love Chobani yogurt. Chobani, America’s #1 Greek Yogurt brand, is kicking off a new season and saying #HelloSummer with 15 new product varieties. I know I’ve been trying their new flavors all summer, which you can learn more about on their website. Definitely give them a try! 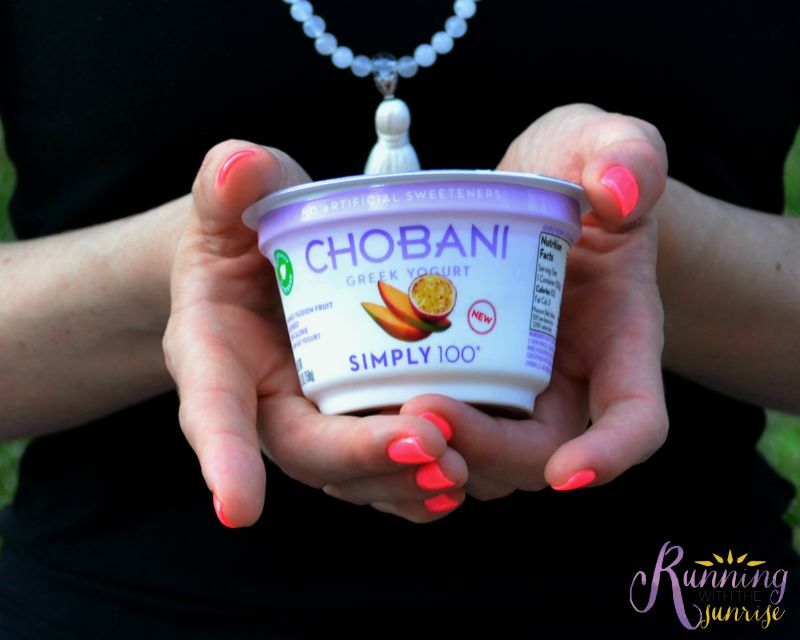 Chobani’s new Chobani Simply 100® is the first, and only, 100-calorie authentic strained Greek Yogurt. A great way to fuel-up before or after a high-energy activity. Packed with protein and an excellent source of fiber – its 100 calories worth counting. And, you can feel great knowing that no matter the variety, each and every cup of Chobani Greek Yogurt is made with fresh milk from cows not treated with rBST and proudly contains no artificial sweeteners, preservatives or flavors. 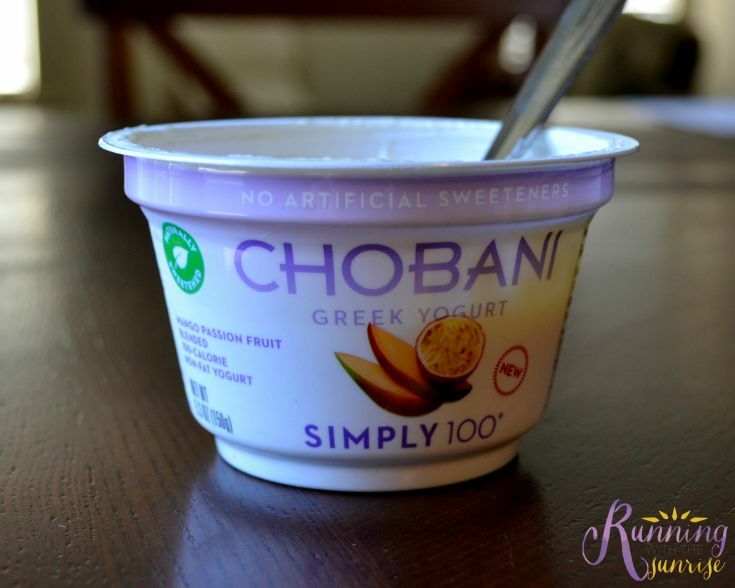 The Chobani Simply 100® flavors also contain just 7 grams of sugar, much lower than most flavored yogurts, which I really love. Thanks to Chobani, I got to try out the new Mango Passion Fruit flavor, which is amazing and I can’t wait until it’s a staple in my grocery store. I love that it’s a quick and tasty way for me to get in 14 grams of protein, along with some extra fiber, too. Before my workouts, I’ve been just eating it directly from the container, with or without granola. To help me recover after workouts, I’ve been blending it into a recovery smoothie. Are you also a big fan of Greek yogurt? Thanks for taking the time to read this sponsored post. Having sponsored posts means I get to work fewer hours at my other jobs so I can spend more time creating great, free content for you, my readers. Thanks for understanding! I love chobani (and am super jealous that you got to work with them! YOU GO GLEN COCO) and I am big fan of there new blended Simply 100’s. Side note, when you first showed the picture of the new flavor I thought it was a sweet potato, not a mango. But I was kind of excited nevertheless! As you know, I’m a big, big fan of Greek yogurt. I have it everyday, sometimes twice a day, and I never eat the regular fruited kind (always plain or the simply 100) because of the extra sugar. But it is a fabulous snack and perfect recovery fuel! I love greek yogurt, especially Chobani. I prefer the plain greek yogurt and then I top it with nuts and fruit. So healthy and delicious! I’m a big fan of the Chobani greek yogurt 🙂 Though I usually just get a big tub of the plain variety and doctor it myself with whatever flavors I want that day. It’s a good way to get variety and control the sugar. Definitely! I do the big tubs of plain yogurt a lot for my smoothies. Cheaper than buying the single servings! It’s really good! Keep an eye out for it at your local grocery store. 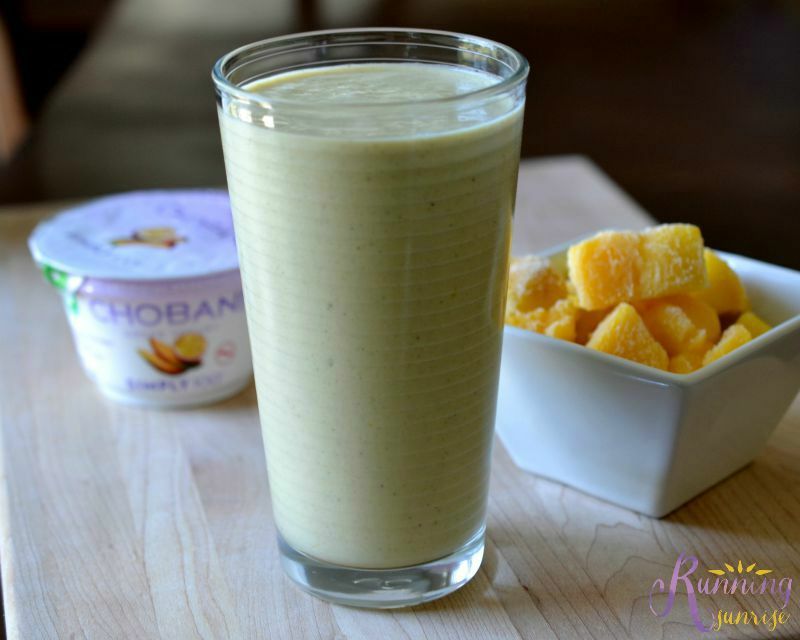 I’m all about adding fruit–hello vitamins and nutrients! One of the reasons why I’m honestly loving the new Chobani Simply 100 flavors is that they don’t contain as much sugar as other yogurt. Win! I LOVE that Chobani created the 100 cal cups! I struggle finding a yogurt that has less than 10-13g of sugar, and the 100 cal ones are great for that! I love Greek yogurt, especially the plain flavors since I prefer the tangy yogurt flavor to anything sweet! We use it all the time in my house – it’s a great replacement for sour cream in meals or for butter in baking. Plus, yogurt is such a great way for those of us who are sensitive (but not intolerant) to dairy to get calcium – yay for fermentation!